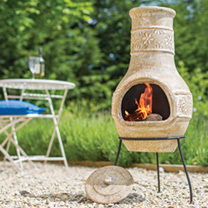 This is a medium-sized chimenea that is a great addition to all gardens. 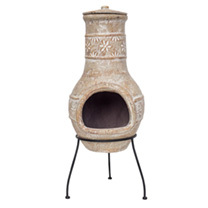 The chimenea has been handmade and hand-finished in a brown shade with beautiful floral detail around the body and flue. The chimenea stands on a 3 legged solid black powder coated steel stand. Your friends and family will have a great time enjoying the most of your summer days whilst keeping warm and getting some extra light during the evenings. It also features a protective rain lid to help minimise any water damage. 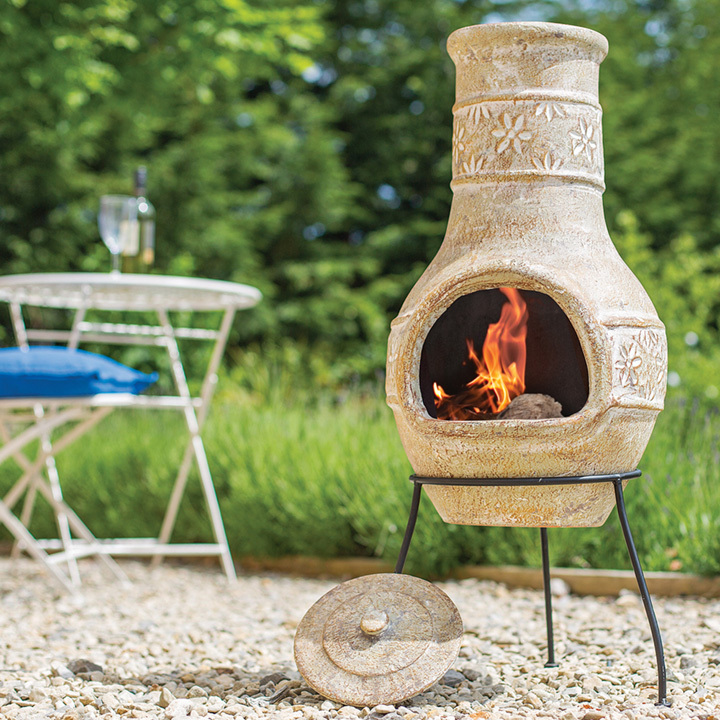 The medium Star Flower clay chimenea has subtle styling, effectively heat your outdoor space in style. Very simple to use, create a fire using logs within the mouth of the chimenea, relax back on your favourite patio furniture and and soak up the warmth and smell of a real wood fire. 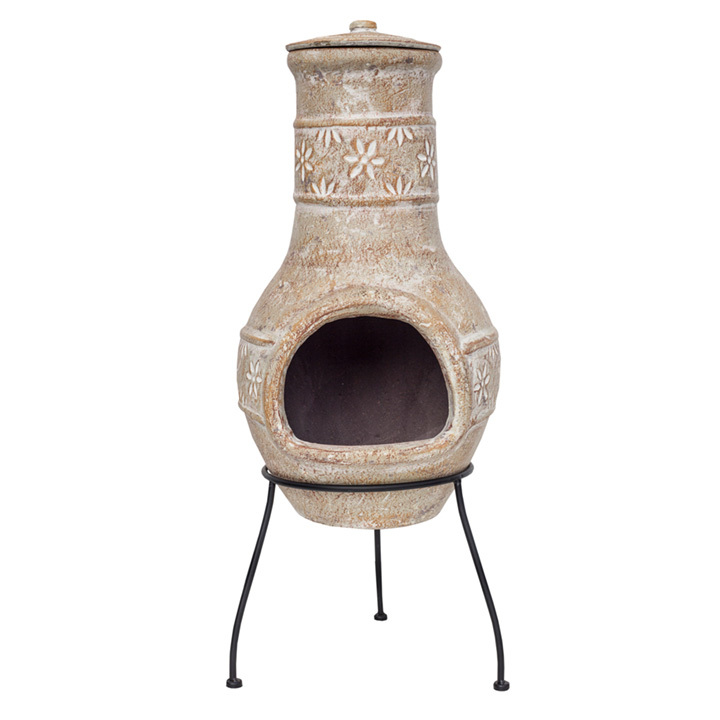 Buy the Star Flower chimenea and watch your family and friends gather round to enjoy the warmth and ambience of a real wood fire. Height 85cm; diameter 36cm.